We’ve all seen episodes of Doomsday Preppers, the reality TV show, which showcases very extreme cases of individuals or families that are preparing for a major threat to our world as we know it. These families and at least three million more across the country are preparing to either bug in or in many cases bug out when SHTF. In this article, we’ll give you the rundown about Doomsday Prepping and what you need to know. What exactly is it that preppers are afraid of? There are a wide variety of reasons that people become preppers. Their fears run the gamut from devastation resulting from natural disasters to robots or invading aliens taking over the world. 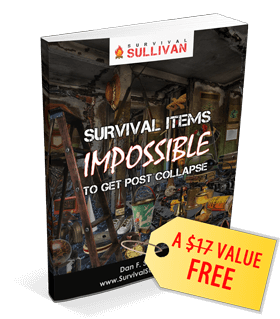 Many preppers fear a domino effect that will be ignited by one event that then causes several other events in rapid succession leading to utter chaos and devastation. There are also different levels of prepping. Some people prepare only to survive short-term minor events such as a flood or wildfire which would require leaving their home for a period of several hours or days. 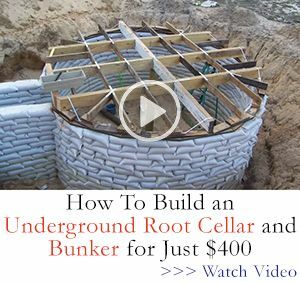 Other preppers take prepping to a more extreme level and are arming themselves, building underground bunkers, and stockpiling food and water to survive a devastating event that will change our world as we know it. Helioseismology is the study of the currents beneath the surface of the sun. Helioseismic detectors aboard the Solar Dynamics Observatory, allowed researchers at Stanford University to detect magnetic bundles and predict their emergence as sun spots several days later. An intense flash of light that momentarily eclipses anything else in the sky but then disappears. This is what you might see if you were able to see gamma ray bursts. Astrophysicists believe the gamma ray bursts are caused when two collapsed stars merge together. The Earth would initially be shielded by its own atmosphere but the radiation exposure would devastate the ozone with nitrogen oxides. We all know that without our ozone layer, humans would be subjected to devastating damage from the sun’s ultraviolet rays. Over two centuries ago, on December 16, 1811, history documented an earthquake of 7.7 magnitudes that hit the New Madrid fault line. The New Madrid fault line borders areas of Mississippi, Tennessee, Kentucky, Arkansas, Missouri, Indiana, and Illinois. In 1811, the shocks of this quake were felt as far away as New York city, but the area was sparsely populated and there were few deaths. If an earthquake of that same magnitude were to hit the New Madrid fault line today, it would have a much more serious impact on the 15 million people currently living in the quake zone. It’s estimated nearly 2 million people would be forced to immediately seek shelter and over 7 million additional people would be displaced in the several weeks following the quake. Asteroids are minor planets and/or rocky remnants of planets that are mainly found in the Asteroid belt. These are quite far away from our planet Earth, however, they can break away and travel, and they have in the past fallen toward Earth. Many preppers fear that an asteroid large enough to result in widespread damage to an entire region or even our entire planet is only a matter of time. volcanic eruptions similar in magnitude to when the Laki volcano in Iceland erupted in 1783.
a global pandemic caused by the spread of bird flu, SARS, or another disease. No matter which side of the political fence you stand on, it’s pretty hard not to see that the climate of our planet has been changing rapidly over the last several decades. The Earth is warming up and melting ice caps could soon cause flooding and other consequences. It’s undeniably one of the biggest threats facing our planet today. All kinds of changes in our planet could occur quite rapidly, leaving Earth uninhabitable for any life forms, let alone humans. Predictions indicate we could reach the tipping point, the point at which there is nothing we can do to reverse it, by 2020. 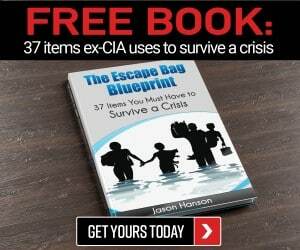 Even preppers who might be preparing for a catastrophic natural disaster or chaos resulting from World War III know that the economy itself is in danger of collapsing. Even without any additional catastrophic event, the collapse of the economy as we know it is inevitable. The actions and behavior of our human population growth and progress are wreaking havoc on our ecosystem. We already know that primitive peoples, using spears and bow and arrow hunting methods caused the extinction of about half of the large body mammals that lived in the world. The modern man uses guns and more effective hunting methods which mean our destruction of the mammals is happening at an even faster rate. Couple this with land clearing and the chemicals we are introducing to the environment and over 30,000 types of animals disappear annually due to human activity. There are a wide variety of biotechnical advances that have the potential to devastate our planet. Many preppers are concerned about this type of devastation which is why they have turned to homesteading and monitoring what goes into their bodies. The path of progress has led us to create increasingly intelligent machines, first automated and more recently, actual artificially intelligent. These machines are actually capable of intelligent thought and critical thinking. As alluded to in the video above, there then becomes the potential for these artificial beings to decide that humans are less valuable and/or a target for extinction at some point in the future. It’s a theory straight out of the cinema, closely resembling the movie “I, Robot”, starring Will Smith. Our current fertility rates combined with an extended average life span, have us on track to more than triple the world population in a relatively short period of time. The fear then is that our population would outgrow the planet’s capability to support that many human lives. Depleted natural resources, overcrowding, sanitation, and other issues related to dense population would lead to a cataclysmic extinction. Bad Boys, Bad Boys, What Ya Gonna Do When They Come for You? A stream or wave of electromagnetic pulse or current is called an EMP or Electromagnetic pulse. An EMP can also be caused by a nuclear explosion which sends out a wave of electromagnetic radiation called an NEMP or nuclear EMP. The fear of an impending EMP or NEMP event is the main reason that preppers are pulling together their bug out bags and planning to either bug in or bug out, depending on their location in relation to where the EMP occurs. A good number of preppers fear that an EMP is a likely scenario for people living today. The events occurring around the world today are leading us toward a global world war with China, Russia, and the U.S. We already know that the media’s main purpose now is to either downplay or exaggerate actual events that are occurring and to keep citizens distracted from what is really occurring in the world. China and Russia have begun making agreements that will put them at direct odds with the United States in the coming conflict. Every religion has its prophecy which heralds the coming of events that signal the ushering of a new, more morally pure world. This kind of apocalyptic divine intervention has been predicted as far back as Egyptian mythology. Whether you follow the Book of Revelation, Book of Daniel, or are awaiting the arrival of the third son of Zoroaster, many believe that the signs of this Apocalyptic event have already begun. The so-called Zombie Apocalypse many believe will be caused by either the latest “Flaka” drug or something similar. 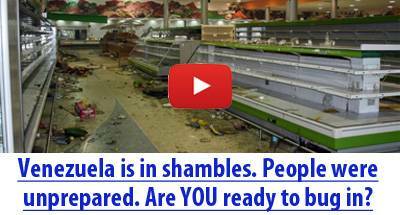 Or for some preppers, it simply refers to a catastrophic economic collapse or another disaster that creates starving, desperate people who will roam the land in hordes looking for food, water, and other basic needs. Is There Really Any Merit to Their Fears? Many people may find it difficult to take some of these threats seriously because well let’s face it, some of the best survival movies and TV shows and especially Doomsday Prepper reality shows, have dramatized many of these scenarios to the point of no return. But for those who are aware that a piece of a comet, some two-hundred feet in width, actually hit the Earth in 1908, and destroyed over seven-hundred square miles of woods in Siberia, things get a little closer to home. For those who know how many asteroids are in the sky and that it would only take an asteroid five-foot in width to create devastation resulting in a major extinction similar to that of the dinosaurs, prepping becomes a bit more crucial. For preppers who have been paying attention to global warming changes and the effects of GMO and other biotech processes on our food supply, the dangers are real and learning to plant a survival garden doesn’t seem like such a bad idea. If you are brave enough to look closely and do some thorough research, what you find out may just spur you to join the prepper movement to protect yourself and your family. For anyone who can see the signs that our world population is multiplying in a way that isn’t sustainable, creating a survival war plan and which foods to hoard, seems like the most logical thing to do. Most preppers are not taking things to extreme like those families showcased on Doomsday Prepper reality shows. But they are doing what they can to be prepared to feed themselves and their families and to protect what they have from others who may not have prepared as well. Okay, So What is Prepping Really All About? It’s a known fact that people fear what they do not understand. Many people do not understand much about prepping. The media and powers that be play into the fear people have by showcasing the most extreme example of preppers. Because of this, there’s a tendency to believe that all preppers are crazy. But prepping is by no means a new trend. There have always been individuals and groups of people who worried about impending disasters and did what they could do to be prepared. In fact, many areas have entire Emergency Management Response Teams that are specifically designed to educate, inform, and prepare people on how to react during a widespread emergency. The Federal Emergency Management Agency (FEMA) is an agency at the federal level charged with providing the best resources and support to the people of the United States, not just during disasters, but before and after such an event as well. Many of those people who were adults or children during the Great Depression era have a tendency to live frugally, to ferret out free food, or to “save that piece of foil to re-use later”. My father and my uncle were always trying to save a buck or save something for a rainy day. If you were in the hospital and didn’t eat your applesauce or drink that little mini can of ginger ale, my uncle would tuck it in his pocket “just in case I get hungry later” or “I’ll save this for lunch tomorrow”. The number of preppers throughout the United States is estimated at around 3 million. I would wager that the number of people who are preparing for a future uncertainty is much higher. Many of them may not even identify themselves as preppers. Why do we worry about retirement accounts, fire or flood insurance, or car insurance? Because we anticipate something in the future may upset our daily life and we want to be ready for it. There are many people who take extra precautions to prepare for a flood, fire, or tornado to come their way. Though not on a doomsday level, that is a form of prepping. So, are Doomsday Preppers just crazy? Obviously some of them, yes, have taken prepping to extreme measures. But the majority of “preppers” are just people who are concerned about the impact of future events on their ability to survive. They have taken it upon themselves to prepare in the best way they can to protect themselves and their families and in some cases, their neighbors as well. So maybe it’s not the preppers who are crazy. Perhaps the crazy ones are those individuals who either cannot see the major changes that have occurred in the world or worse those that can see some signs of what could happen but just aren’t motivated to do anything about it. If everyone in our world knew more about how to respond and how to prepare for hurricanes , wildfires, and earthquakes, lives would be saved. If more people were prepared to handle personal emergencies and trauma such as car accidents, heat waves, accidental drowning, and snake bites or had a plan when it became necessary to evacuate their home, even for a short time, lives would be saved. If more people grew their own food, knew how to preserve and can it for use when money got tight later in the year, fewer people would be stressed out and unhappy when times get tough. For some people, prepping is simply about knowing they have done what they can to be ready for whatever life may throw at them. It’s about knowing they can do their best to protect themselves and their family. It’s about not being dependent on or waiting around for the government to show up to rescue you like people had to do following Hurricane Katrina. Deep down, prepping isn’t crazy at all. It’s about survival, independence, and freedom for yourself and for your family. I’m a single grandmother and teacher with very little to no financial resources to prep. I need resources and information to help prepare in everyway possible with resources available at home. I can and I’m trying to stock pile that and water, an emergency bag, batteries, first aid, fishing, and incidentals from prepper list. Thank you for a simple but effective explanation to show my children. It’s coming but when…..